Charlotte had waited years for Donal to utter those magical words. This morning he'd finally said them'We're trying you out as a columnist, Charlie. Go Grab 'em by the ...''Thank you, Donal,' Charlotte replied fervently.Yessss!!!! She mentally punched the air. 'I won't let you down. 'Maybe not the magical words every girl longed to hear, but for Charlotte Regan - sports reporter for Ireland Today - they were music to her ears. Going Against Type by Sharon Black is a delightful book. 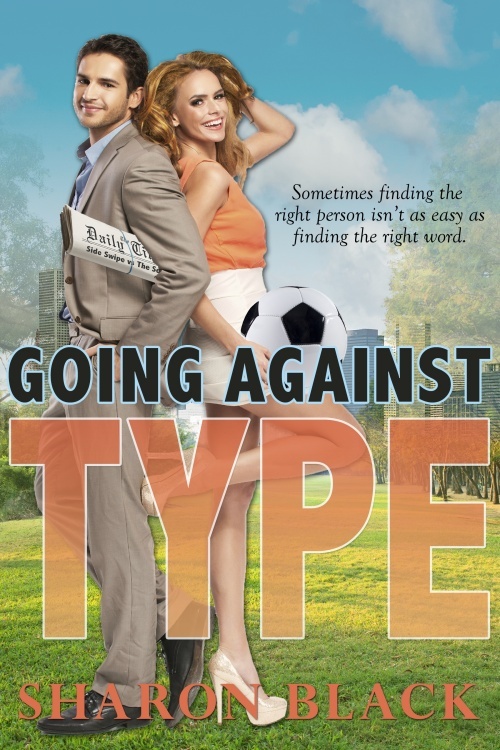 This story of journalist Charlie Regan follows her journey to become a full-fledged sports writer and the man she falls in love with along the way. When Charlie gets the chance to write a sports column, Side Swipe, she finds herself in a feud with The Squire, a fashion columnist. The readers love the feud, and Charlie’s career takes off. Little does she know the Squire is none other than Derry Cullinane, the fella she’s been dating! This is all great fun, but what makes Going Against Type stand out are two things. 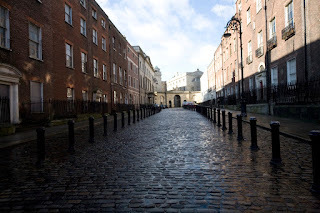 First, I loved the setting of Dublin and the city’s waterfront outskirts. It was exciting as a reader to recognize Sandycove, Dun Laoghaire Pier and Dalkey where Charlie goes for her daily runs run. This area is close to my heart, and Sharon Black has captured it perfectly. More importantly, I fell in love with Charlie. She’s a thoroughly modern Irishwoman – obsessed with sport, very athletic, determined to work hard and make it in a tough business. She surfs in the West of Ireland. She helps coach a football league. She bets on horses, goes to curling matches, and interviews very naked footballers while trying not to break horizon. I admired Charlie’s no-nonsense attitude and determination to find her career in the male-dominated world of European sports news. She insists on recognizing female athletes and is more concerned about getting her daily run than what she’s got in her closet. When it comes to being a great friend and wonderful sister, Charlie’s your woman. She and I could definitely hang out at the Temple Bar. I also loved the humor running through the novel. This is a cozy read, a great book for a soft day with the rain lashing at the windows. Pour some tea, have some biscuits at your elbow, and open Black’s novel by the fireside. Sounds like the perfect afternoon! In fact, when the author approached me to review the novel, it took me only a few minutes to say yes. The sample had me laughing from the start. Still, Going Against Type isn’t all comedy. There are parts that are wistful, true to life. In the book, as in real life, not every relationship has a happy ending. When Black describes Charlie’s life as a reporter, the novel takes flight and soars. The columns themselves are wonderful – The Squire and Side Swipe have their own voices. This makes sense, after all – apparently Black has her own biweekly column. I was totally invested in Charlie’s struggle to make herself known as a sportswriter. Alas, for me the story fell flat when it came to the romance between Charlie and Derry. I got that he had his heart broken and, as a result, decided he’d flit between affairs. However, the moments between the lovers were far and few between. Each date ended off-camera shortly after they set out to the cafe or pub. Throughout the book, Derry has to deal with fallout from one of his casual relationships. Belinda, a former Miss Ireland and Derry's pick-up, is beautiful, fluffy-headed, and usually dressed in pink from head to toe. Lord, she was annoying – and not for the reasons you’d think. Couldn’t Belinda have a character flaw, tragic backstory – anything to get me invested in the scenes between her and Derry? If she had developed a personality, maybe it would have helped me become more interested in what happened to her – and, as a result, in Derry and Charlie’s romance. On the male side, we have Donal, Andrew, Ian, and Charlie’s ex, Conor. I wish Black’s editor had insisted on cutting 50% of these side characters – they’re unnecessary and clutter up what is otherwise a lovely story. In fact, if Going Against Type had focused on the story of Charlie’s career, I think it would have improved the novel and brought it to the next level. Journalism, which begins and ends the novel, is obviously in the author’s blood, and her prose is glorious when she writes about the profession. However, these flaws don’t completely spoil what is a fun, frothy read. It’s still a wonderful glimpse into life in the suburbs of Dublin as well as a fascinating story of an original character. Come for the romance if you must, but stay for Charlie. 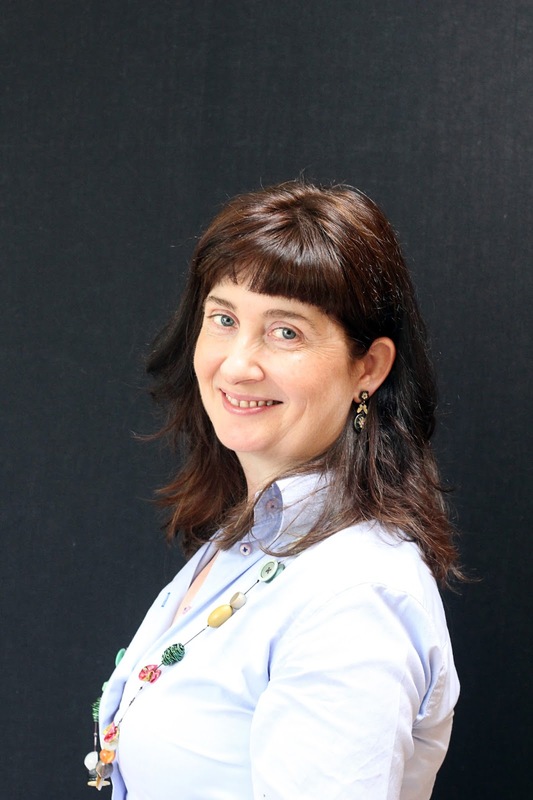 IRISH author Sharon Black is a diehard screwball comedy enthusiast. 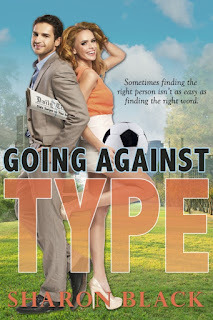 Her first novel, Going Against Type, a contemporary romantic comedy set in Dublin, was e-published by Tirgearr Publishing in September, 2014 to great reviews. Find Sharon on her blog, at her author website, on Facebook and Twitter, and on Amazon. Alison DeLuca, features writer. Alison is the author of several steampunk and urban fantasy books. She was born in Arizona and has also lived in Pennsylvania, Illinois, Mexico, Ireland, and Spain. Currently she wrestles words and laundry in New Jersey. Connect with Alison on Facebook, Twitter, Google+, Pinterest, and her blog. Have a feeling my daughter would love this one. Thanks for sharing. My pleasure, Sharon! Thanks for writing such an original, wonderful heroine! Sounds fun, so sorry that it fell a little flat. It's definitely worth the read. The author has created a vivid, original character in Charlie! Not sure about this one for me. Sorry you didn't enjoy it more. Try the sample, if you enjoy funny and original heroines. I really loved Charlie and the Irish setting!